Leading global smartphone giant TECNO’s key to success has always been tailoring their marketing strategy according to each country’s specific market needs. 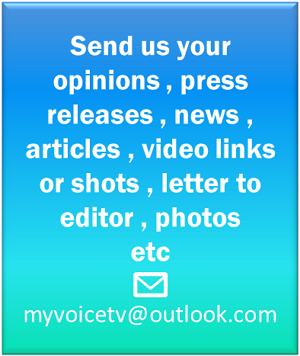 This includes not only bringing cutting-edge devices that help consumers keep up with today’s highly technological world but to also help them do so with the utmost ease. Until now TECNO MOBILE has remained an offline brand but now, for the first time ever in Pakistan, TECNO MOBILE has teamed up with Pakistan’s e-commerce giant Daraz.pk to offer consumers the opportunity to get their hands on the best products TECNO has to offer with just a few taps on a screen. And not only that! Consumers can also look forward to amazing discounted prices as TECNO offers its hugely successful 5.65”, Quad Flash, 13MP TECNO Camon i Air for the spectacular discounted price of PKR 14,499 only! “TECNO is brand, a committed to pushing itself to staying up-to-date with the market and doing all it can to help its customers do the same by providing them with all the tools necessary to do so. 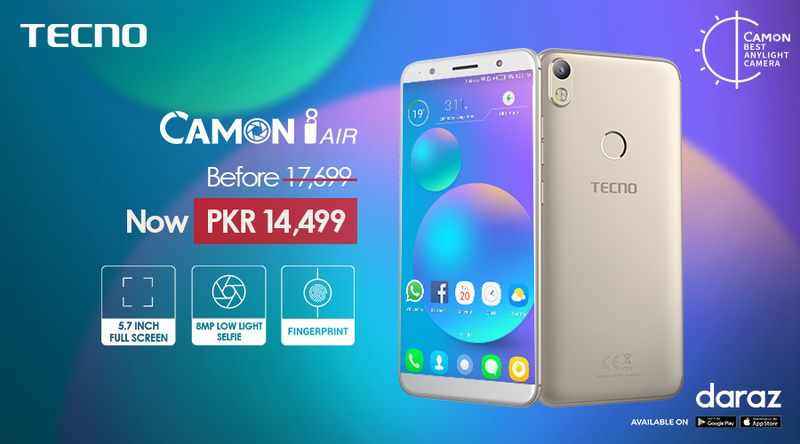 By collaborating with a leading e-commerce platform like Daraz.pk, TECNO is making it easier than ever for its customers in Pakistan to achieve all that, especially with the discounted Camon i Air price. Customers can be sure to expect many more such discounts and offers from TECNO in the future as well,” said General Manager for Pakistan Willy Cui. The TECNO Camon i Air features a 5.65 inch Full Vision Infinity Display, a 13MP rear camera with Quad Flash, 3050 mAh battery, is 4G enabled and offers Android Nougat v7.0 all packed into a sleek body available in two colours – Gold, and Black. 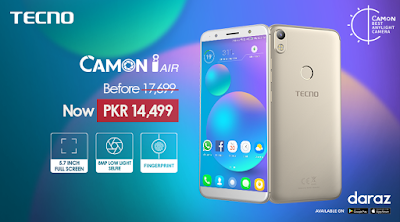 The Camon i Air, among other TECNO devices, will be available on Daraz.pk just a few taps or mouse clicks away allowing consumers to purchase these devices from anywhere and at any time without the hassle of travelling.